How well is your GDS working for you? Chances are it's an indispensable aspect of your working day, but that doesn't mean it's without frustration. So, we've put an ebook together to help you get more from one of the most important tools you use. Our new guide helps answer some of the biggest questions surrounding the GDS. We chart the GDS’s course from its origin as a 1960s innovation through to its current status as a modern-day hegemon, before analysing some of its limitations and how they can be overcome by the savvy travel consultant. Why is the GDS so Important to the Travel Industry? We deconstruct this question in more detail in the ebook, but, in short, the GDS furnishes travel consultants with all the data needed to provide the traveller with the best experience for the most competitive price. At least in theory anyway! Where Does the GDS Fall Short? How Can You Get the Most from Your GDS? Improving the experience of your travellers through time-saving measures such as itinerary templating tools. Making things easier for you and your team with add-ons like GDS decoders, automated visa checking, and PNR management tools. Providing more choice by harnessing third-party integrations. Creating something all your own. Well-founded criticisms aside, the GDS remains an immensely important tool and has the potential to be even more useful with a bit of fine-tuning. Tweaking the bits of the GDS that don’t work so well has both direct and indirect benefits for your traveller satisfaction, as well as the sanity of your staff. 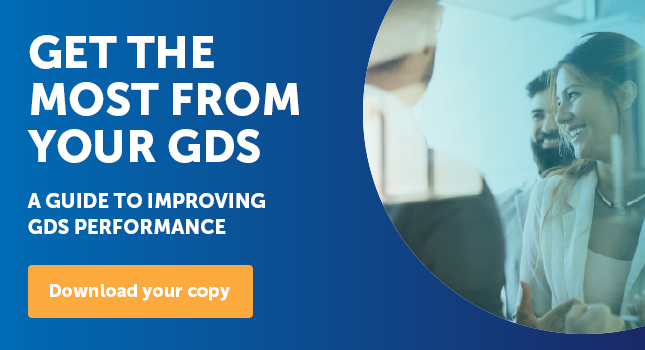 To learn how, download our new ebook ‘How to Get the Most from Your GDS’ now. © 2019 Navitas Solutions Ltd.